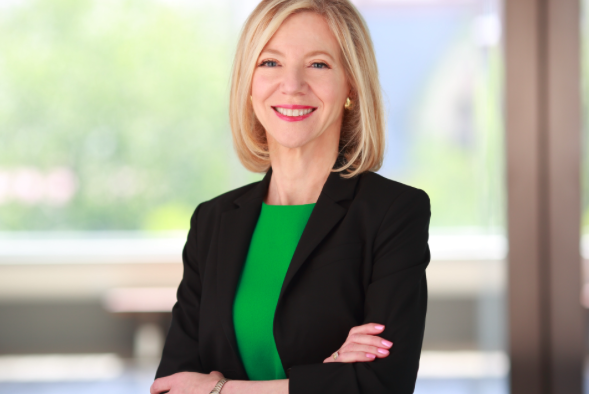 University of Pennsylvania President Amy Gutmann. University of Pennsylvania president Amy Gutmann joined a chorus of detractors aligned against President Donald Trump's executive order imposing travel restrictions on immigrants seeking entry to the United States, penning a letter on Monday that calls the measure "inimical" to the university's values. Guttman, whose contract extension last November will make her Penn's longest-serving president, drew on her own family background to underscore how important immigration has been to America's economic and cultural growth. Already, she said, Trump's executive order has proven harmful to the university. "The damage already done to the lawful freedoms and opportunities of our students and colleagues, here and around the world, is undeniable and indefensible," Gutmann wrote. "This Order will weaken the promise of educational opportunity, intellectual discovery, and global engagement that so distinguishes American universities." In November, a campuswide email affirmed Penn's status as a "sanctuary" for undocumented immigrants and pledged to protect students from background inquiries by federal immigration and customs enforcement officials. "We stand for open-hearted compassion and open-minded opportunity," Gutmann wrote Monday. "We will remain unyielding in our allegiance to our fundamental principles and to each other. Penn will not bend." The letter comes less than a week after the editorial board of the university's student-run newspaper, The Daily Pennsylvanian, urged the school's administration to take a clear stance on its relationship to President Trump, who graduated from the Wharton School in 1968. Students warned that the university faced a dilemma over whether to embrace the president's affiliation or stand out against policies that contradict core principles on campus. "[W]e will do everything in our power, speak to every friend and ally, and leave no stone unturned in our efforts to urge President Trump to change course and rectify the horrible damage this Order has caused," Gutmann said. Gutmann's full letter can be found here.